The quarterly ICRC International Humanitarian Law Bibliography lists references to English and French publications on international humanitarian law. 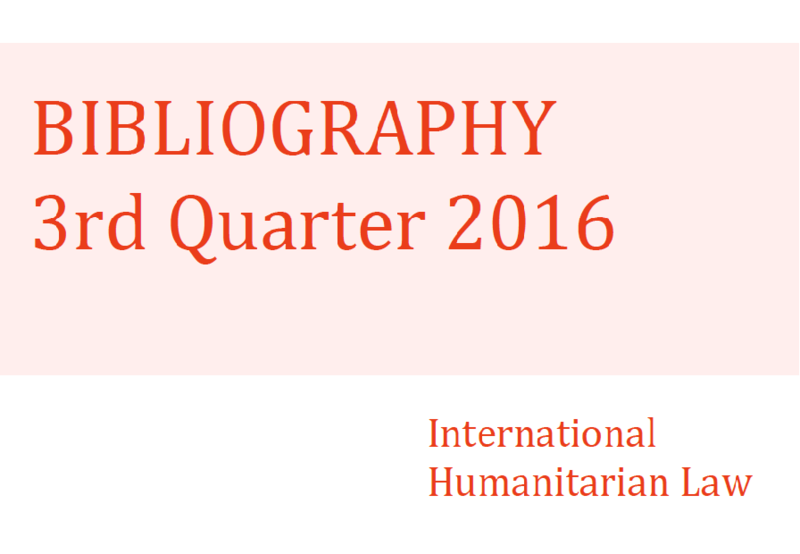 The latest bibliography is based on books and articles acquired by the ICRC library during the third quarter of 2016. If you would like to subscribe to the IHL Bibliography, please send an email to library@icrc.org with “IHL Bibliography subscription” in the subject line.